Having trouble getting back into the flow with your online marketing after the holidays? Dive right in to 2019 with a lead generation campaign. These campaigns are easy to set up quickly, and they work well for engaging your audience. Plus, they generate valuable leads for future remarketing purposes. The Super Bowl is a huge day for snack sales. 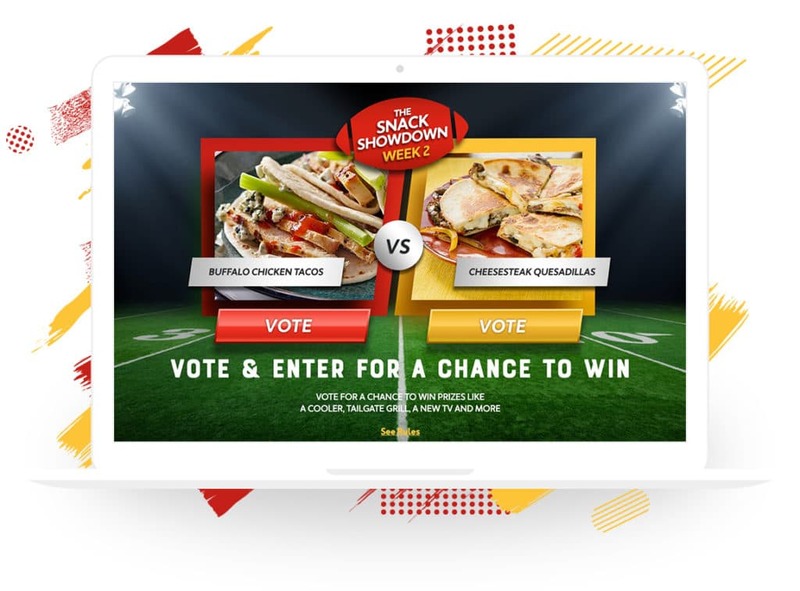 Mission Foods created a fun campaign where folks vote for their favorite snacks to munch on during the big game. Each week, Mission Foods releases two new snacks for people to vote on. After voting, folks have the chance to win that week’s prize, and they’re entered to win the grand prize for the ultimate game watcher: a big screen TV, two recliners, a one-year game-watching TV package and game-watching groceries for a year. This campaign serves both as a lead generation campaign and a way to share recipes that include Mission Foods products. IDEA: Use time-based visibility settings to show and hide content each week. What to do with your leads: Send entrants an autoresponder with the recipes for that week’s snacks. Highlight your products within the email, along with a link to information on where to buy them. Our fur babies are near and dear to our hearts. Pet Valu created a simple giveaway to celebrate pet parenthood. Folks simply submit the form to be entered to win one of five $100 Pet Valu gift cards. Entrants are invited to come back in 24 hours and submit again to increase their chances of winning. 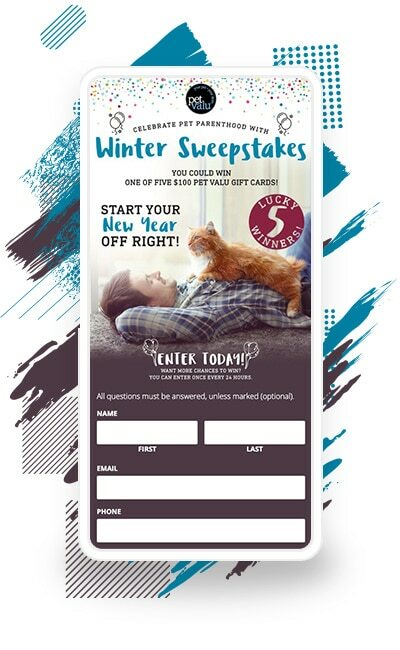 This lead generation campaign fits Pet Valu well, as it focuses on their target market, and it builds on the success of the campaigns they ran during the holiday season by continuing to engage their audience. What to do with your leads: After your contest closes, schedule an email with a coupon and new products that devoted pet parents would love. Do people love your brand? Invite them to share that love with the world! Tupperware Nordic’s “#ShareYourFirst Tupperware Experience” campaign is a perfect example. They encourage Tupperware fans to post the moment they knew they fell in love with the product. 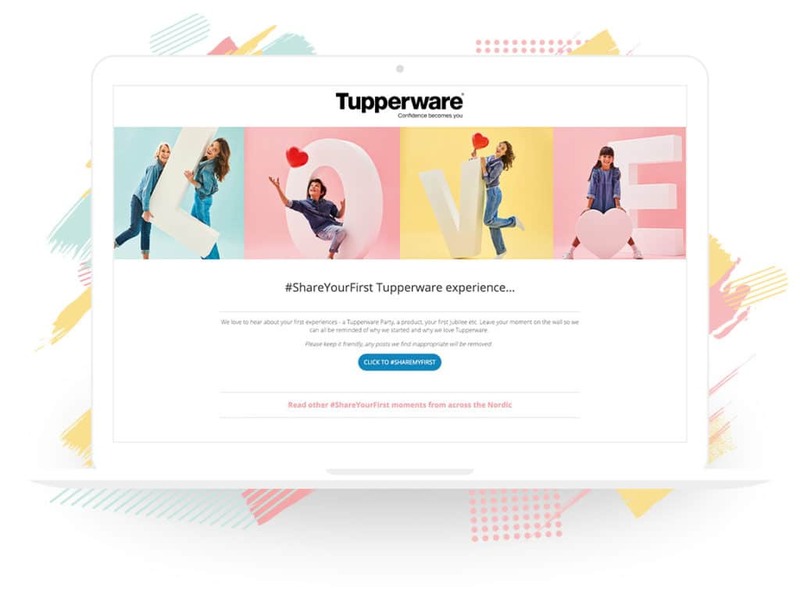 This clever campaign allows Tupperware to collect valuable testimonials and learn a bit more about what sparks passion among Tupperware enthusiasts. Plus, not offering a chance to win a prize in exchange for a submission helps Tupperware know that real fans are submitting these testimonials, not just folks looking to win a contest. What to do with your leads: Share the testimonials you received on your website, in online ads, and in your product descriptions. Hosting an online event? Check out SAA’s workshop sign-up form for inspiration. 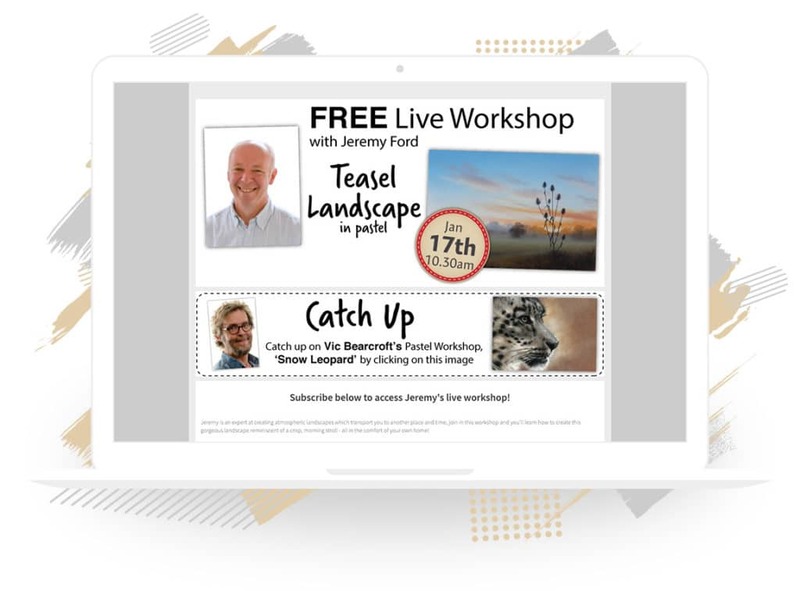 For each live online workshop, they ask participants to register in advance. After registration, they are provided a password to enter on the day of the event. This ensures that only people who register in advance are able to access the event, and it provides an incentive for people to visit the website in advance to sign up. What to do with your leads: Send a monthly newsletter with upcoming online events to keep previous participants engaged with your business. There you have it, some easy ideas to jump-start your 2019. For more ideas on campaigns you can run throughout the year, check out our post, The Complete 12-Month Marketing Plan for Contests, Giveaways & Promotions. If you run into any questions while working on your campaigns, be sure to shoot an email to theteam@shortstacklab.com.